Fall arrives early in the High Country of North Carolina, but journalist AnnaLise Griggs is more concerned about one particular trio of visitors: Benjamin Rosewood, his wife Tanja, and their daughter, Suzanne, especially as AnnaLise and Ben have history. When two sudden and unexpected deaths occur, AnnaLise must protect herself and the place she loves as she is forced to confront how far a person might go to get--and keep--what they believe should be their own. Sarah Garland, a retired homicide detective who's gone through a painful divorce, seems to have found her peace at last, as a coffeeshop owner in the sleepy (and freezing) small town of Snow Falls, Alaska. What she didn't expect was for her past life to catch up with her. Or for her new life as a mystery writer to inspire a deadly killer to target her. Mackenzie "Mack" Dalton is a Milwaukee bar owner with a nose for trouble - literally. A neurological glitch has left her with extra-perceptive senses. So when she stumbles upon a dead body in the alley behind the bar - the same spot where her own father was shot eight months earlier - she can tell right away there's something fishy in the air. The lead detective thinks there's a link between the two deaths, and he'll need Mack's help to sniff out the murderer. But when all the evidence points to her as the most likely culprit, it could be an early last call for Mack. The debut title in a new series by the award-winning author of the Maggy Thorsen Coffee Mysteries, optioned for television. Though a magnet to tourists looking for some Southern comfort, the small lake town of Sutherton - tucked so picturesquely into the mountains of North Carolina - has had its fair share inexplicable hazards. But when Daisy Griggs siphoned three pints of blood from poor Mrs. Bradenham at the resort's annual blood drive - well, that seemed to take the cake. And so, police reporter AnnaLise Griggs comes home to Sutherton to look after her volunteer phlebotomist mother, Daisy (of the accidental bloodletting). But the "accidents" only seem to escalate upon the reporter's arrival in the High Country, leading AnnaLise to question whether Daisy is truly the cause of the trouble, as everyone else seems to believe, or its target. First of the series that I have listened to. It was an easy listen, nothing overly suspenseful. Will listen to the next in the series and decide on future ones at that time. It wasn't really a book that had me wanting to continue listening, I could easily stop at any time. It was just okay and nothing more. Where does Running on Empty rank among all the audiobooks you’ve listened to so far? 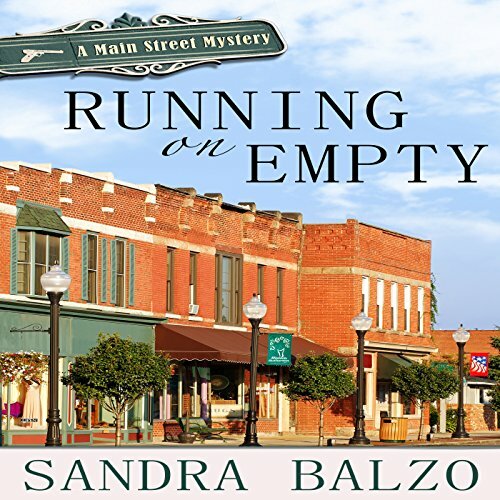 I love this new series (new to me) by Sandra Balzo. 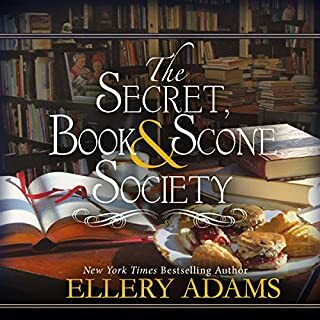 Her Coffeehouse Mysteries are among my very favorite cozy mysteries to listen to, and this ranks right up there with them. Mama. I like her quirky-ness, directness, and I know a few "older" ladies like her. What does Amy DeLuca bring to the story that you wouldn’t experience if you just read the book? I like the softness in Daisy's voice sometimes. I think it really conveys emotion that would have been lost if you were just reading the book. I just about did, and would have if possible. The only problem is, the next one isn't available on audio yet, and now I feel that feeling you get when you are done with a book and want more. I think that Sandra Balzo is a great writer that a lot of people would enjoy if they could discover her! Not the type of mystery I would normally choose, but, as usual, I'm looking for a new Mystery series. After reading the publishers blurb I did expect to enjoy the book - somewhat, but what a surprise! I loved it! The story is fast, quick to draw in the listener, it's full of interesting characters all described so beautifully that I easily gave a face to them all. I found it witty, amusing and clever, what more could I ask for? 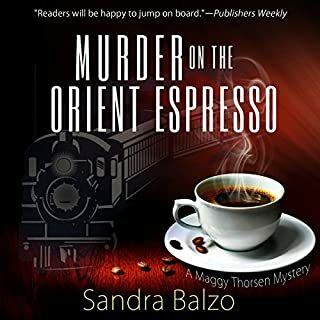 Well, a good mystery of course, and Sandra Balzo certainly obliged, I was quite surprised at the ending. I can't wait for more. 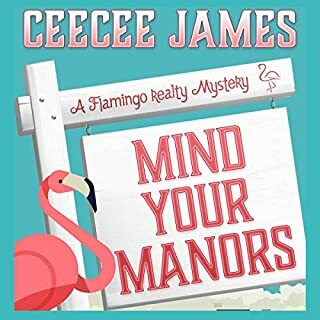 As a bonus, I have found a new narrator to love, Amy DeLuca does the job so darned well that I shall be on the look out for her name. Pleasant easy to listen to voice, able to magically conjure up all the different characters making it so easy for the listener to differentiate. Age, gender, rythymn, cadence .... None a problem for Amy. This is my first Sandra Balzo book. When I read in the synopsis that Running on Empty was the first book in a new series, my thought was that this was perfect timing since her previous works reviews were favorable. In Running on Empty, AnnaLise Grigg's leaves the life she made for herself after college to return to her childhood home to deal with her aging mother. 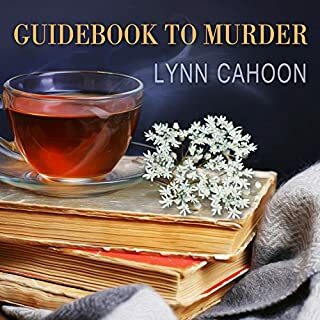 Not long after her arrival, a string of murders are committed in this quirky North Carolina town and all the old secrets come out. There is no back story to develop a kinship with the main character. AnnaLise leaves it all behind before we find out who she was. The reader is quickly thrown into a stereotypical small southern town that she long left and rarely returns to. One cardboard stereotypical character after another is introduced with such flurry, that it makes your head spin. It's impossible to keep track of who's who. If you're not confused enough, AnnaLise's love interest when she last left town is now playing on "the other team", she calls her mother, Daisy and the woman that she does call Mama didn't raise her nor are they even related. As the book progresses, the parentage of several of the cast revolves again. I did stick with the book till the end. One of the dozen dangling story lines did interested me enough to continue. Unfortunately it was one of the ones left dangling with nor resolution at the end. There are a plethora of clever, well worked mysteries. I do not need to continue with this series. I hesitated sacrificing a credit for a six hour book. Imagine my joy to find that narrator Amy DeLuca read this book so slowly that I found it painful to listen to at normal speed. This is the first time I have ever been able to listened at 1.5x speed and found it the only tolerable level. I felt cheated Audible for, at 1.5x speed, it is now something like a four hour work. 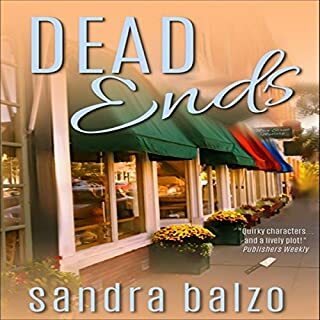 I read and enjoyed Sandra Balzo's coffee shop books. Not at the level of Cleo Coyle, but fun. This book, not so much... Story just wandered, I got antsy wondering when she was going to get to the point. The narrator was awful, strange cadence and constant swallowing, I hate that! Can't something be edit that out??? Don't think that I will waste my time with the rest of the series. 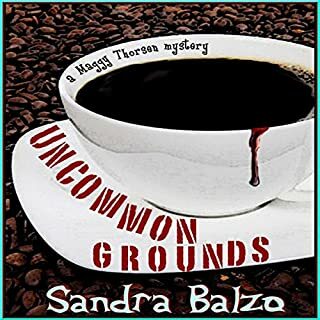 I enjoyed Balzo's Maggie Thornson Mysteries and it looks like I will enjoy this series as well. The characters are smart, funny, realistic and engaging. The plot was interesting and flowed at a natural pace. I hope the next book will be available soon.